Two eye health organizations are teaming up to bring people across the UK vital information on glaucoma. Both Vision Express and the International Glaucoma Association (IGA) will help spread information on glaucoma and the importance of getting early screenings using their beloved Vision Van. This Vision Van initiative is all a part of World Glaucoma Week 2017. This year's World Glaucoma Week will start on March 12th and last through the 18th. In addition to spreading information, staff will be on hand in the Vision Van to perform free eye tests. The five cities that'll be greeted by the Vision Van include Edinburgh, Manchester, York, Glasgow, and Stockton-on-Tees. According to a 2013 study, around 300,000 UK residents have undetected glaucoma right now. Many of these people feel no symptoms, but they could be diagnosed with glaucoma if they just had one regular eye exam. This data was published in the report Britain's Eye Health in Focus. By working with IGA representatives, Vision Express hopes to encourage people to get regular eye exams and to understand that glaucoma symptoms only manifest after a great deal of irredeemable retinal damage has already been done. Although there's no cure for glaucoma, there are numerous methods doctors can take to halt its progression if detected early on. Karen Osborn, the current chief executive of the IGA, told reporters she was thrilled to work with Vision Express on this venture. She advises everyone to get a regular eye exam at least every two years. Even if people experience no eye symptoms, diseases like glaucoma could be brewing beneath the surface. If this Vision Van initiative sounds familiar to readers, well, that's because it's exactly what IGA and Vision Express did last year. Both groups saw such an overwhelmingly positive response from local communities in 2016 that they decided to take out the Vision Van once again. Omar Hassan, head of professional services at Vision Express, said he was alarmed how many of the people visiting the Vision Van said that this was their first eye screening in a few years. Eye exams aren't only important for detecting eye diseases like glaucoma, but they could also reveal numerous other health issues. Believe it or not, doctors can tell whether or not a patient has high blood pressure, diabetes, or high cholesterol just through a routine eye exam. 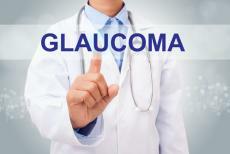 Glaucoma is expected to be a huge global health issue in the ensuing years. Current projections suggest 76 million people around the world will have glaucoma by 2020. Eye screenings are especially important for people of African descent. In America, research has shown that African Americans are around seven times more likely to develop blindness from glaucoma than Caucasian patients. After cataracts, glaucoma is the top cause of blindness in the African American community.